Before chocolate, before bread, and before butter, there was cheese. There is evidence of cheesemaking at cow and sheep dairies in ancient Mesopotamia (c. 7000 B.C.E. ), cheese remnants in an ancient Egyptian tomb (c. 3000 B.C.E. ), and cheese trade in ancient Rome and Greece. Cheese was a source of protein and other nutrients that helped these civilizations make it through the winter months. Today, cheese is still an important part of the Mediterranean diet. When we talk about cheese, we mean traditional cheese, cheese that is made from milk, natural cultures and not much more. Today, there are many pre-packaged processed cheese products with various chemical additives, preservatives, and hydrogenated oils on the market. These cheeses lack the same flavors and health benefits that “real cheese” has. According to Max McCalman in his book Mastering Cheese, “real cheeses are a holistic, integral reflection of local history, geography, and social structure.” Indeed, the diversity of textures and flavors of artisan cheese is infinite. Cheese supplies many valuable nutrients including protein, calcium, phosphorus, vitamin A, vitamin B2, and vitamin B12. In fact, a 3.5 ounce piece of hard cheese contains about twice as much protein as an egg. 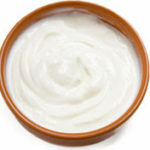 There is some concern about the fat content in cheese, but recent studies indicate that the saturated fats in dairy may be beneficial for our health. Our resident registered dietitian reviewed some of them in our Health and Nutrition paper. The key is to enjoy cheese in moderation. The Mediterranean diet emphasizes savoring small amounts of cheese, alongside plenty of fruits, vegetables, and whole grains. When you buy quality cheeses like those listed below, you will likely buy and eat less because you pay for the attention and care that goes into making them. We’ve selected six cheeses to touch on the diversity of cheese making in the Mediterranean. Many of these cheeses have legally protected names linked to where and how they have traditionally been produced. These are known as Protected Designation of Origin, or P.D.O. cheeses. For example, only certain cheese makers in certain provinces in Italy can call their cheese “Parmigiano-Reggiano.” We encourage you to explore the world of cheese and invigorate your taste buds. Real Manchego is only made in La Mancha plateau in south-central Spain, as it has been for thousands of years. The milk used in making this cheese comes from Manchega ewes, an ancient breed that has adapted to the dry, flat plains of the region. It is aged in natural caves for at least two months before it is ready to be enjoyed. Although the rounds are now formed by plastic molds, the characteristic hatch marks on the rind of the cheese imitate the old way of wrapping the cheese with native grasses to drain. Made on the Mediterranean island of Corsica, Brin D’Amour, or “a breath of love” in Corsican dialect, is a mild cheese encrusted with savory and rosemary. Indeed, its coating and snow white interior are a beautiful sight to behold. Its alternate name, Fleur du Maquis, means “flower of the Maquis,” a local term for the thick brush in the region where criminals would hide. Artisan Parmigiano-Reggiano cheesemakers in Northern Italy use a recipe that has been passed down from generation to generation for over seven hundred years. Each wheel is fire-branded with the name of the cheese producer, the production month and year, and dots that circle the rind and form the words Parmigiano-Reggiano. Parmigiano-Reggiano is commonly mistaken with Parmesan cheese, which is not produced in Italy and is made with pasteurized milk. 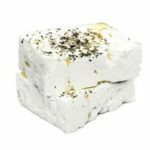 Perhaps the oldest written record of making Feta is in The Odyssey (c. 800 B.C.E. ), when Homer sees Cyclops making sheep’s milk cheese in his cave. The method of making Feta probably hasn’t changed much since Cyclops’ time. The name “Feta” literally means slice, and likely refers to the practice of slicing up cheese and placing it in wooden barrels to be brined and aged. This cheese is often made with a mix of ewes’ and goats’ milk. Outside Greece it is common to find cows’ milk versions. Halloumi dates back to the Byzantine period (395-1191 A.D.), and is still a staple in the Cypriot diet. The cheese is traditionally made from the milk of Mouflon sheep, which were introduced to the island in the Neolithic period and gradually adapted to the environment over thousands of years. Halloumi is known for its firm texture (it doesn’t melt when heated) that is perfect for grilling and frying. 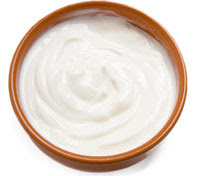 Labane has a similar consistency to thick, full-fat yogurt, and is sometimes even called “yogurt cheese.” It is commonly made in households around the Middle East by draining yogurt overnight in a cloth, although it is sold commercially as well. Labane is traditionally eaten with olive oil, herbs, pine nuts, and pita bread. You might have noticed that several of these cheeses are raw-milk (not pasteurized) cheeses. The U.S. currently bans the sale of all raw-milk cheeses if they are aged less than 60 days. Many of the original cheeses are simply unavailable to us state-side. Other countries, such as England and France, celebrate their raw-milk cheeses as a part of their cultural heritage. 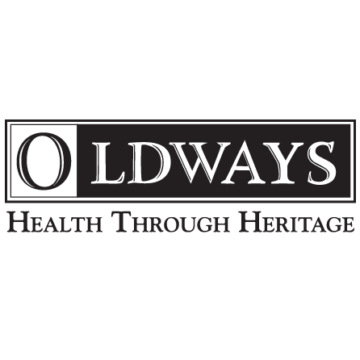 The Cheese Coalition, an Oldways program, supports the production of artisan, traditional, and raw-milk cheese. We work to preserve long-honored cheesemaking traditions and to ensure people everywhere continue to have the freedom to choose their cheese of choice. The Coalition also supports cheesemakers that use time-honored cheesemaking techniques using pasteurized milk. There are plenty of delicious cheeses out there that are not made with raw milk. We encourage you to try both types and learn more about the health benefits of raw-milk cheeses. Both types are an important part of the Mediterranean diet and a healthy lifestyle. Read on for a few of our recipe ideas. Click on a title below to go to the recipe. This great summer dish is not really a recipe, since all of the ingredients are added according to taste and sight. In other words, if it looks like a nice, balanced combination of all of the ingredients and it tastes great, it’s ready! Recipe courtesy of Susan Kron for The Oldways Table. Photo courtesy of Oldways. Like most Italian dishes, this soup is simple to make and relies on a few quality ingredients for a great taste. The rich, slightly sweet flavor of Parmigiano-Reggiano pairs perfectly with radicchio, a bitter, leafy, Italian chicory. Recipe courtesy of Nancy Radke, from The Seasons of Parmigiano-Reggiano. Roasted Pepper and Halloumi Wraps If you love halloumi – and how could you not – you will love this Mediterranean vegetable wrap. Grilling slices of halloumi gives the cheese an incredible flavor that is hard to forget. This article was original published as part of Fresh Fridays is a bi-weekly celebration of Mediterranean eating and living.